You hate bulky outerwear. You can’t stand being slowed or weighed down while you’re on the go. This Wrangler Men's Lightweight MJK017 B Blue Trail Jacket is the perfect solution. While you're wearing it, you won’t feel burdened by heaviness or bulkiness. Inst ... (see full details) (see specifications) #MJK017B. You hate bulky outerwear. You can’t stand being slowed or weighed down while you’re on the go. This Wrangler Men's Lightweight MJK017 B Blue Trail Jacket is the perfect solution. While you're wearing it, you won’t feel burdened by heaviness or bulkiness. Instead, it will feel as if you’re hardly wearing a cold weather jacket, yet you’ll still be protected from the cold wind and rain you may face while you're outdoors. Plus, the pockets that are built into the design are ideal for active people because they're made with zipper closures for secure storage. For starters, this men's lightweight jacket is ideal for use outside. It has an inner fleece lining that will keep you warm without being too thick or heavy. The fleece interior is also great at breaking the wind. Plus, the stand-up collar blocks the breeze, too. 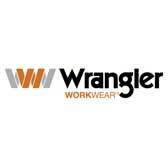 For protection from wetness, the Wrangler men's jacket is made with a water-repellent finish. As soon as water hits the exterior, the finish causes the water to bead up and roll away. When you're wearing this lightweight blue trail jacket in cold, wet weather, you'll remain comfortable and dry. In addition to being able to prevent the elements from inhibiting your mood and movements, this men's blue jacket is functional and can help you out while you're working. It's created with multiple pockets and front zipper closure. The water-repellent jacket has four pockets. One pocket can be found on the chest, and it has a zipper closure. It's great for storage of items that are more valuable or treasured because the zipper closure keeps them safe from harm. The two lower pockets are for resting your hands in, and they also have zipper closures, too. Lastly, there's an inner media port pocket with a zipper closure. The media port pocket has a media port that you can use to keep yourself entertained with your favorite music, audiobooks, or podcasts. Finally, this men's trail jacket is made to bring you comfort in the form of mobility and adjustability with a combination of polyester and Spandex. The 95% polyester is strong and lightweight. The 5% Spandex gives the multi-pocket jacket stretch to enhance your ease of movement. The embroidered jacket is lightweight from the exterior to the interior, and it won't hold you back or weigh you down when you engage in activities. As a measure of comfort, the Wrangler men's outerwear has adjustable cuffs and an adjustable waistband to give you a one-of-a-kind fit. You don’t want to feel like you’re drowning in thick layers while you engage in outdoor work and activities. With this Wrangler Men's Lightweight MJK017 B Blue Trail Jacket, you won’t. Order yours today! Wrangler Jackets: Men's Lightweight MJK017 B Blue Trail Jacket is being added to your cart.